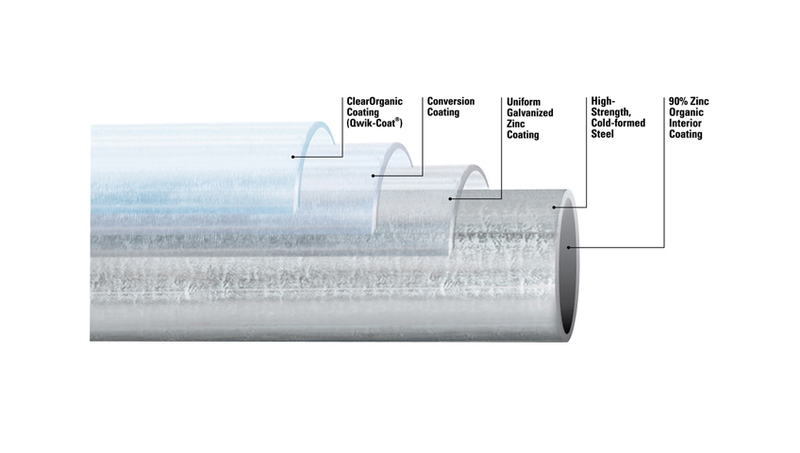 High strength (50,000 psi min yield) allow for engineered structures that will meet / exceed local building codes. Inconsistency and lack of quality in competitor products means they have to engineer to a much lower certification. Current installations include buildings with a free-span of 60 feet. Without a guarantee of quality, no engineer would ever allow it. Inside corrosion protection will keep the tube from "weeping rust" on the vehicles parked underneath. Consistent mechanical properties mean bending will be consistent. One bend will look and act just like the next and the next. Telescoping shapes available to allow many different design and construction opportunities. We are the only stocking distributors of inserts for select rectangles in the country. 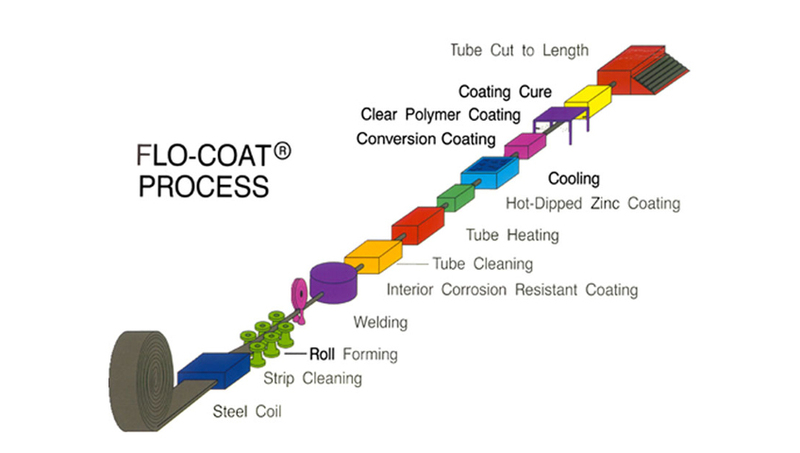 Flo-Coat® finish allows for installation even in coastal areas. It also allows for painting or powder coating for even greater durability or color match to a house or nearby structure. We have the ability to offer swaged ends on shapes which give other design opportunities, but also save on labor and other parts. 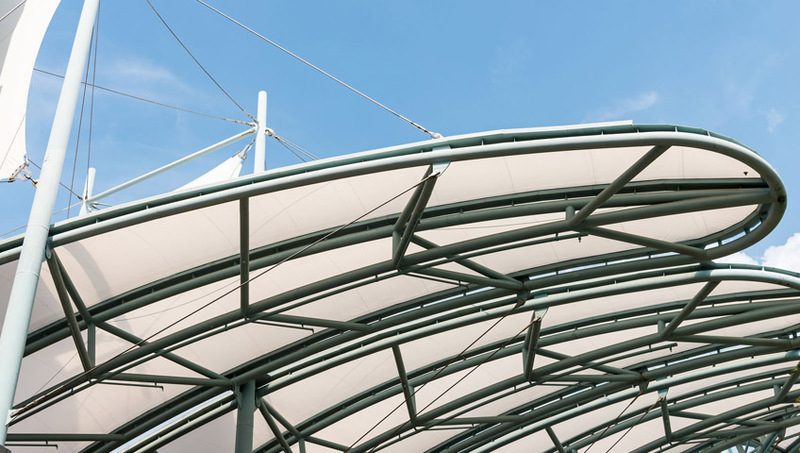 We can offer specialized fittings for the canopy market if needed.